On Saturday, July 8th from noon to 5pm, the Downeast Lobster Roll Festival will take place at Thompson’s Point in Portland. 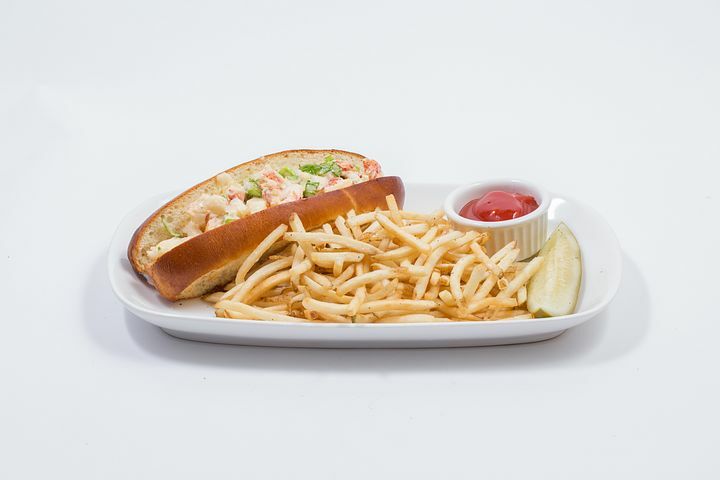 There`s hardly a better place for it than the seriously up-and-coming site which will feature The World’s Best Lobster Roll Competition, bringing with it the greatest, tastiest lobster sandwiches in the country to determine which is the very best on the planet. In case lobster is not enough, rest assured there will be more than just the pride of the Maine seas in store. Live music, games, and lots of other food and drink will be present and available for purchase. Bring the whole family or don’t and just gorge on earth`s favorite consumable crustacean all by yourself. But about that lobster roll competition…After receiving countless entries, the participants were narrowed down to just 12 finalists who will go head-to-head at the beginning of the day with the winner being announced at 3:30. Of those 12, eight are from ME and four are hoping to upset the locals. One of the certain favorites in the competition is Bite Into Maine in Cape Elizabeth. Sarah and Karl Sutton, owners of the renowned trailer with stunning ocean views, assume a Maine competitor will win and promise that their entry is “a little out of the box – but not too much”. They look forward to bringing their food and story to more Mainers. Freshie’s Lobster Co. out of Park City, Utah is one of those from away that has made the final 12. Owners Lorin and Ben Smaha grew up in New England – he in Cape Elizabeth and she in NH – but know they will be at somewhat of a disadvantage. “It seems to me like Mainahs might be more skeptical of us because we are from out of state,” Lauren notes. Both competitors focus on the classic roll and look forward to sharing their best with the crowd on July 8. I look forward to eating all of them and giving my thoughts on which one truly is the best on earth. If you haven’t bought tickets yet, they start at $10. For more information on the Downeast Lobster Roll Festival, go to downeast.com/lobsterroll/. Hope to see you there! Feel free to email me at peterpeterportlandeater@yahoo.com with any thoughts, suggestions, criticisms, or otherwise helpful info or post your thoughts below. Also, like the Peterpeterportlandeater page on Facebook and follow @portlandeater on Twitter. You can now also find me at pppe.bangordailynews.com. This entry was posted in Portland, ME food on June 29, 2017 by peterpeterportlandeater. Portland has been waiting with great anticipation for a bar that will finally be open to all on Friday at 4pm. Sitting quietly at 26 Exchange St., Blyth and Burrows offered media a preview of what was in store and I happily attended. Created by owner Joshua Miranda, B & B was built with the War of 1812 and two of its fallen captains – both of whose burial sites are in Portland – in mind. That war and those captains are reflected in everything about the locale. 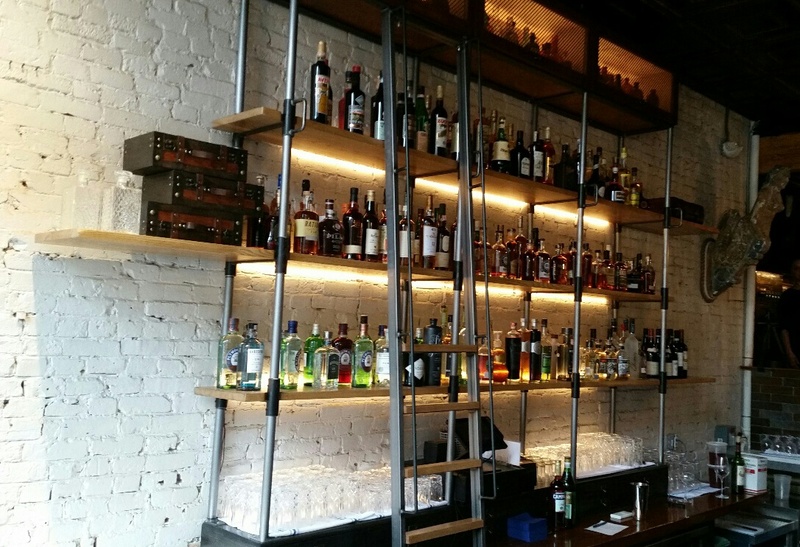 Upon entering, patrons will be greeted by the bar on their left and a shelf with seating straight ahead. Past the bar and a few steps up will be another bar – where the oysters are housed – and some additional seating. But that’s only where the fun begins, because from that room, a secret door will lead down the stairs and into The Broken Dram. A speakeasy is cool, but it’s also particularly noteworthy because it will have a completely different theme than its upstairs big brother. The music, food, drinks, and entire concept will be completely its own. Cool drink pairings will highlight the menu. And in case that’s not enough, there will be a secret entrance in from the alley and also another disguised door to a lounge which will be full of Victorian themed furniture. The drink menu in the main bar will be separated by flavor profiles using period trade routes. 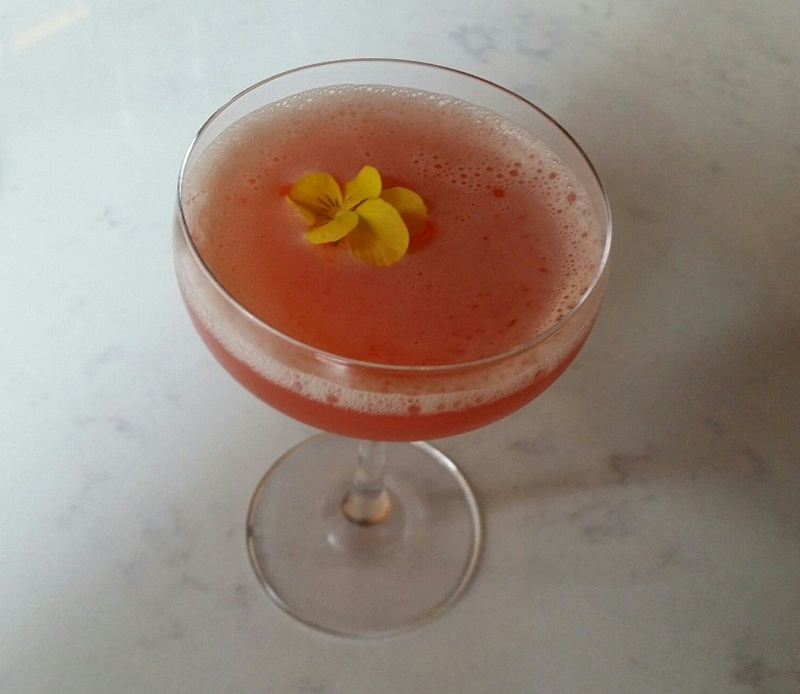 I recommend Blood of the Incan – pisco, solerno, blood Orange agave, lillet rose, lemon, cranberry bitters – from The Americas column. Strong and fruity, the drink feels right when sitting at the bar. If a little adventure suits you, you might try the first drink on Silk Road – General Tso Fashioned – rittenhouse rye, dry orange curacao, teriyaki, ginger lemon, hot pepper bitters. Food at the bar will focus on sea creatures with raw, cold, and hot options. 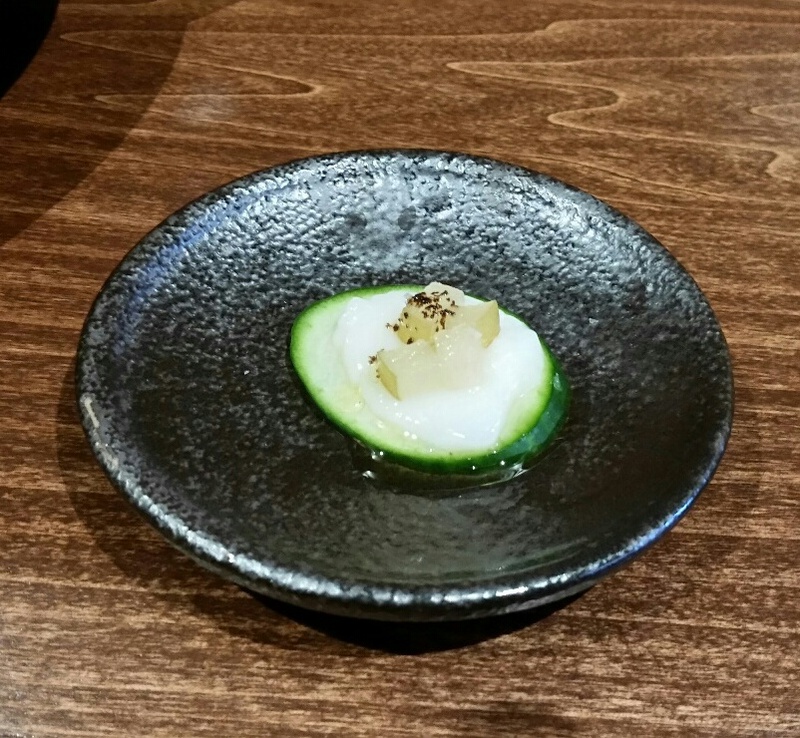 One raw example, the Scallop Crudo with black garlic, dashi, cucumber, pear offers sweet and subtle flavors. More crudo, tartar, and of course oysters – by the six or twelve – will be available. 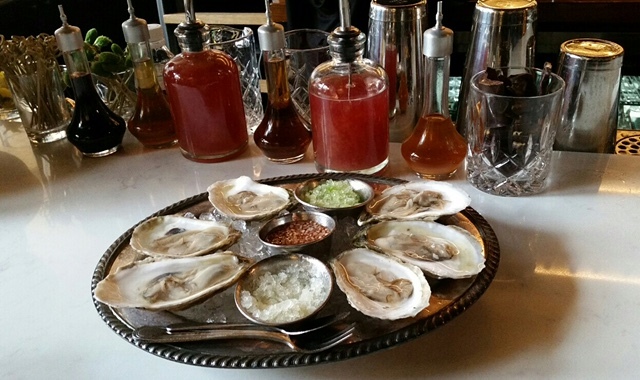 Oyster lovers will enjoy the multiple accompanying condiments. 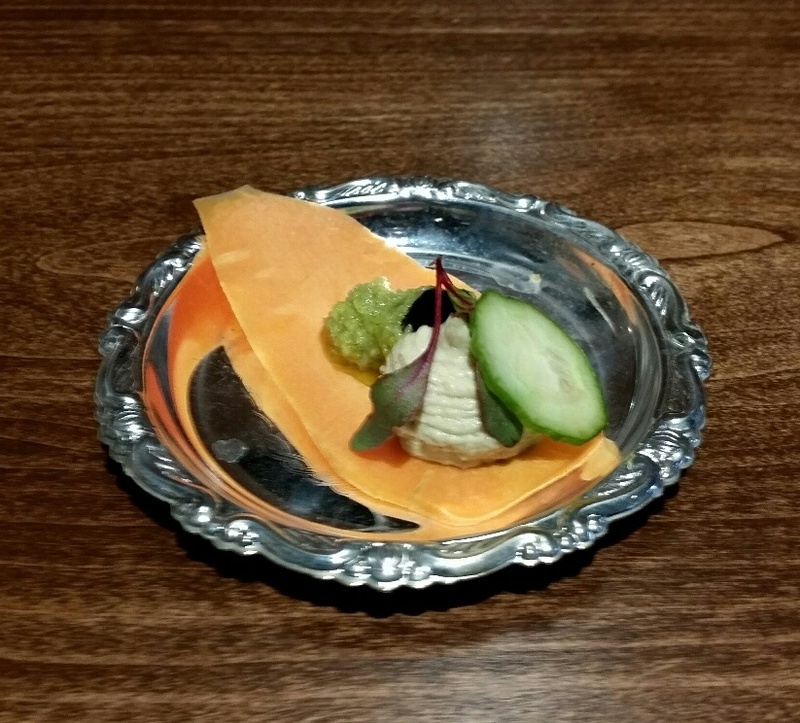 Cold options on the menu will include Hummus and Tapende – yuzu, castelvetrano olives, seasonal vegetables, black sesame – a light but flavorful offering. 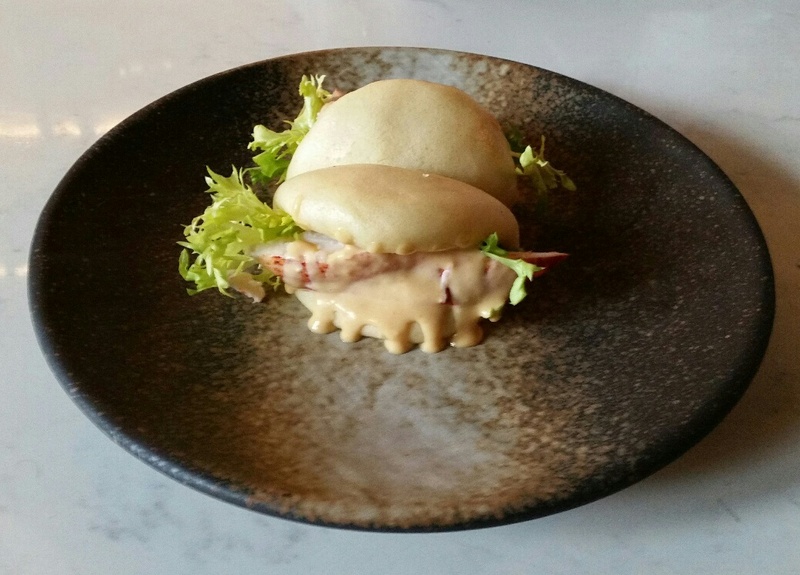 The Lobster Roll – Maine lobster, miso aioli, house bao – provides a Maine standard with a twist. 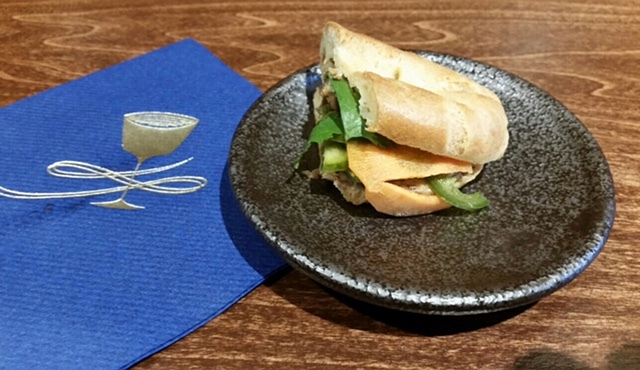 The delicious Bahn Mi – marinated pork, pate, cilantro, Vietnamese pickles – seems perfect to eat with the General Tso Fashioned. Hot items will include crab cakes, oysters, ribs, and more. Adding to the fun of sitting at the bar, the staff will be well versed in the history it is based upon, having been required by Miranda to read Knights of the Sea. Portland was heavily entrenched in the War of 1812 and now we have a location that remembers it. What else can you expect from Blyth and Burrows? Well, that, like much of what you’ll find there, is a secret…until you visit for yourself. This entry was posted in Portland, ME food on June 8, 2017 by peterpeterportlandeater.